VIKINGS: Which Vikings Character will be dead halfway in the series just an beforehand conclusion based on what you see? Which Vikings Character will be dead halfway in the series just an beforehand conclusion based on what you see? During the panel of Comic-Con it was announced that we will lose a beloved character in the serie Vikings. There were two of the main characters not at the panel this year. Floki played by Gustaf Skarsgård and Athelstan played by George Blagden. If you watch the trailer you don’t find a direct answer. If you look further there might be an answer to that into the trailer. In the trailer is less Athelstan and less Floki but Floki is there at the end. 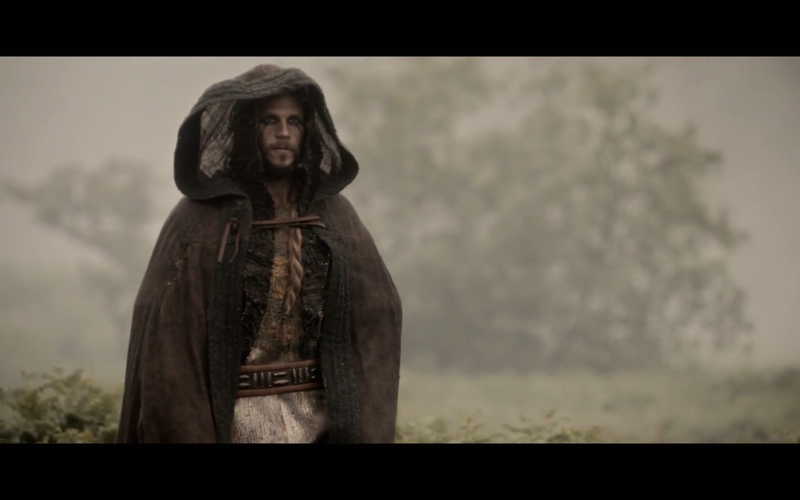 A sign that Athelstan will die? On the other hand the seer tells us about “stones and bones, a river two shores, three sides” etc. If you take Floki who is a trickster and named after the trickster god Loki. There is a story in Loki’s history with a couple of things in it who reference to what the seer says. Who dies we will know when we see the season but I will tell you in either way I wouldn’t like the idea of killing Floki nor Athelstan but as Clive said in the panel “everybody will die in the series some day because it is part of the history”. We know that but we love the characters so much that we are forced to believe that they couldn’t die at all. There is a king who is going to die does that count as a beloved character maybe Eckbert? Or are we trapped in the idea of those getting killed and will it be Ragnar? The trailer also show us that Lagertha and Eckbert are going to bond? Would that means jelousy or will she marries Ragnar again? What we do know for sure is that Rollo played by Clive Standen will be there in a fourth season if they keep track of the history of Rollo. “The raiding on Paris will continue if season 4 will be a go”says Michael Hirst.